Leuven is a university town located 30km to the east of Brussels. The first references to the town may go back to the 9th century. Leuven has a rich heritage and contains various historical buildings from different centuries. Its finely sculpted Town Hall and Saint Peter’s church with the famous ‘Last Supper’ by Thierry Bouts, are fine examples of flamboyant Gothic architecture at its best. Next to its cultural heritage, Leuven provides an excellent environment for relaxation in its numerous bars and restaurants. 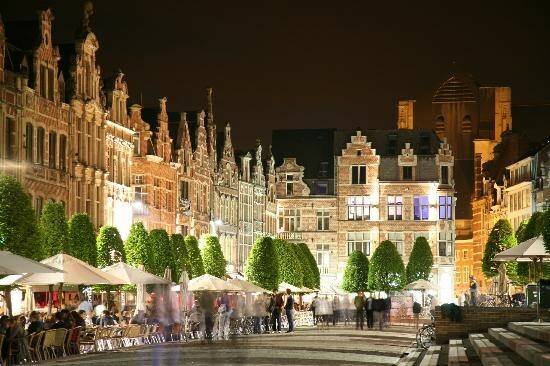 The Old Market is known for its lively nightlife, and offers a large collection of the famous Belgian beers. Beer has played an important role in Leuven’s history. At present, the headquarters of the worlds largest brewery group AB Inbev are located in Leuven. First records go back to the 15th century to the ‘Den Hoorn’ brewery.